Heat the milk and cream to 82°C - 85°C (180°F - 185°F). This kills all the bacteria and alter the structure of the proteins in the milk. This gives the yogurt a better structure. Add the milk powder while stirring. Take it off the heat and let it cool with the lid on, to below 42°C (108°F). Add the "live" yoghurt culture. Pour into portion jars or the like. It can have a tendency to clump, so make sure to filter it as much as possible. I run it first through my finest sieve and then through a special fine nylon sieve the I normally use for clear stocks and the like. When you heat up the milk it can foam and usuallythere is also a bit stuck at the bottom of the pan. All of this is something that makes clumps and grains in the finished yogurt. It makes no difference to the taste, but a big difference to the consistency. The lumps cannot be stirred or blended away. So a sieve it is. I prefer yogurt that has been fermented between 6 and 12 hours. Then it is lovely and mild. It also lives on in the fridge, and will slowly become a little more acidic/sour. The rule of thumb for fermentation of yogurt, is that the higher the temperature and the longer it ferment, the more acidic the yoghurt becomes . After approx. 24-30 hours most of the lactose will be gone, and it makes no sense to ferment any longer. I have a yogurt machine where I pour the lukewarm mixture into small glasses (200 ml (about 7 fl. oz)) and then let them ferment separately. This is a very easy way to do it. You can buy a yogurt machine just for this purpose, but you don't need to spend that much money. An electric blanket is inexpensive and just as good. Just put it in your bowl with the milk and let the built-in thermostat control it. Otherwise, you can put it into your oven with the oven light on. That will usually make it the right temperature too. It is a good idea to check it with a separate thermometer. If it is too hot you can keep the door ajar. If it is too cold you can probably turn in the oven at very low temperatures. When I set my oven to not use convection and the temperature right in the middle of "off" and the first temperature setting (50°C (122°F)) it ends up pretty precisely at the right temperature 40°C (104°F). 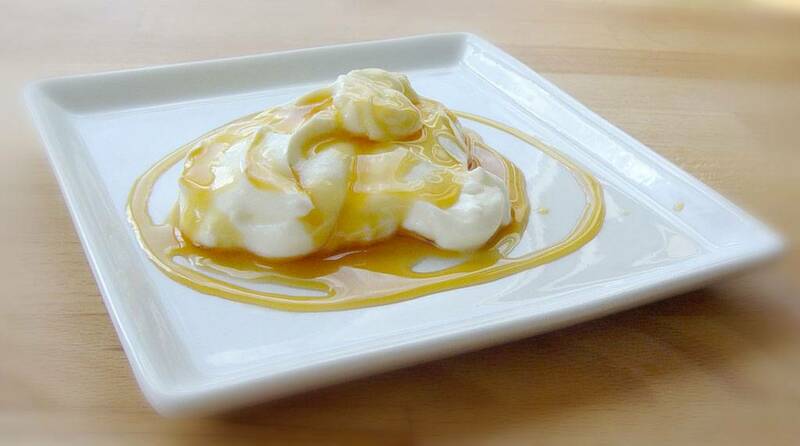 The bacteria in yogurt also have an important influence on the texture. But if you are using a store bought yogurt as a starter is pretty much works the same way every time. If you use the same temperature. When you stir the yogurt, you also slows down the rate of acidification, so it only slowly becomes more acidic. This is good as a base for yogurt ice cream. If you don't use neither cream nor skimmed milk powder, the yogurt may seem a somewhat runny.